Retailers have a challenge of drawing attention to their products within stores. With a plethora of video monitors commonly in stores, there is a need for a more effective attention grabber. 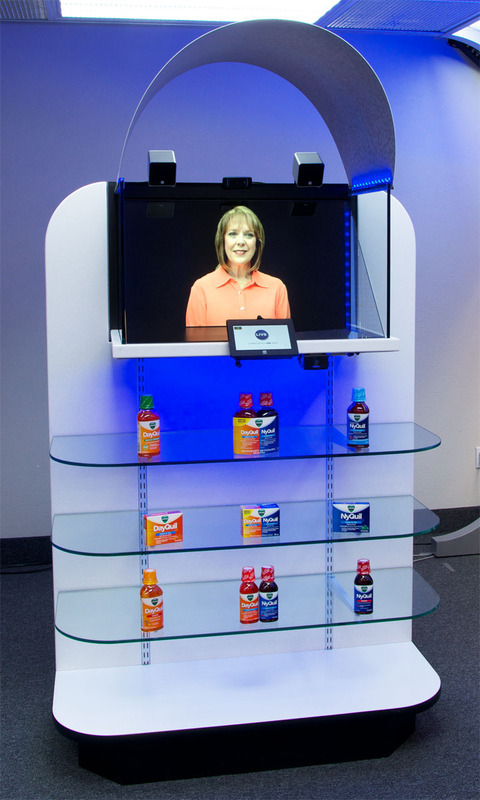 The solution is Holographical Displays by TelePresence Tech. Our three dimensional visual effect stands out compared to flat screens. Customers can hold a product to the bar code reader to trigger a video about the benefits of the product. 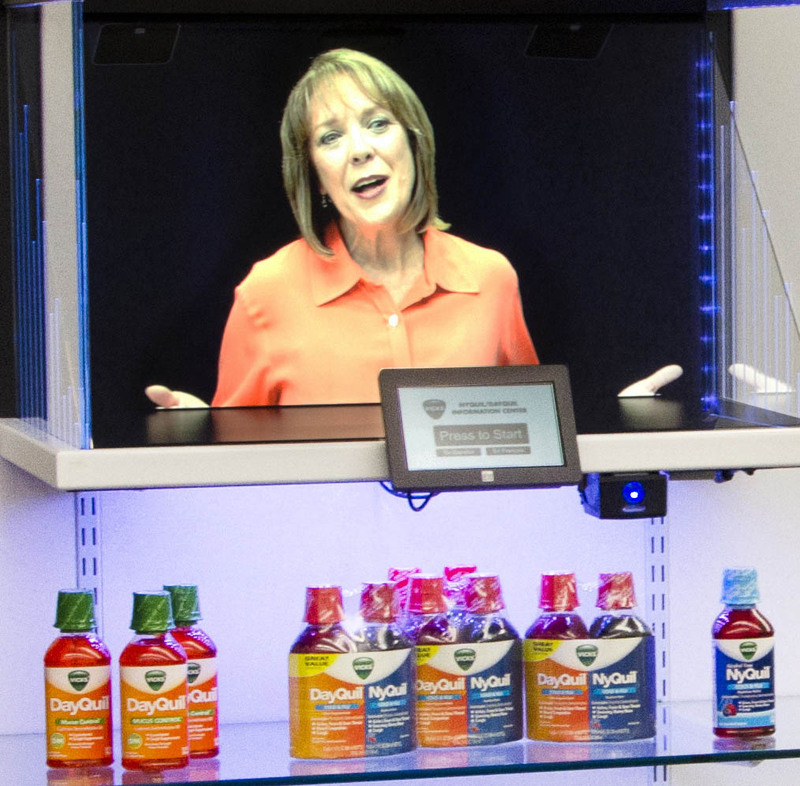 The promotional video appears to float holographically within the kiosk to catch attention and effectively promote the services.